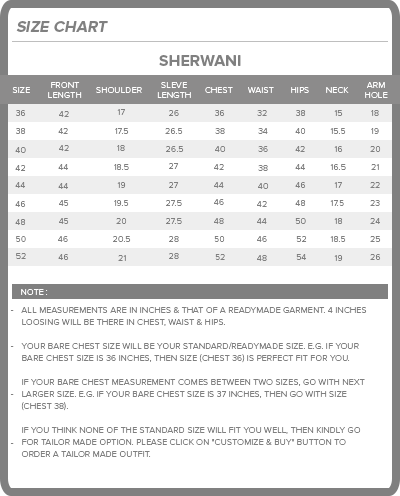 The model (shoulder 18.5 inches, chest 38 inches, waist 32 inches, & hips 37 inches) is wearing a size 38. 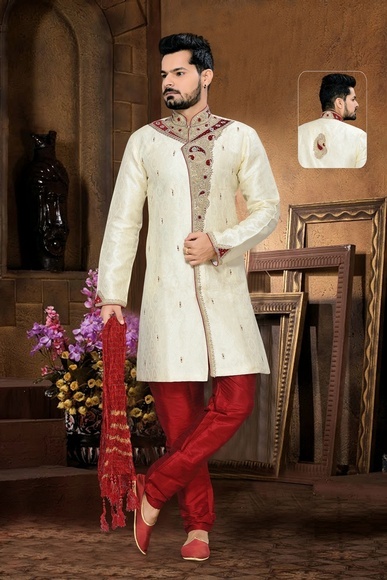 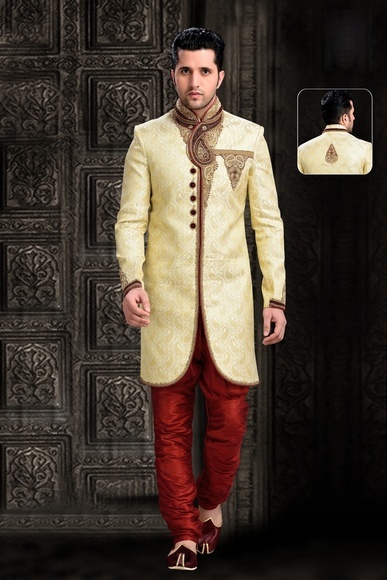 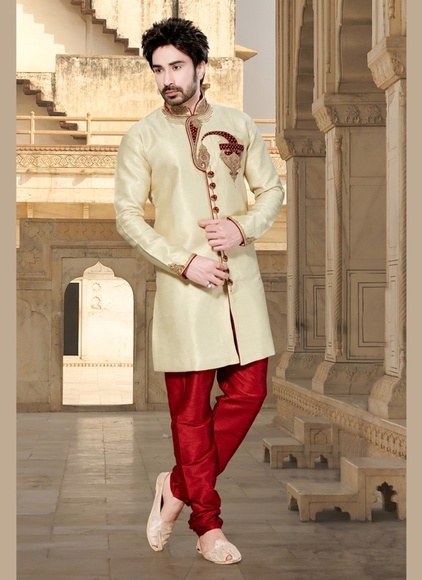 Product Package: Sherwani along with your choice of bottom. 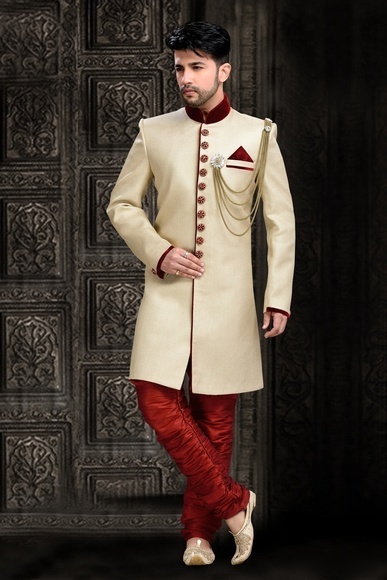 Q.What is the length of sherwani? 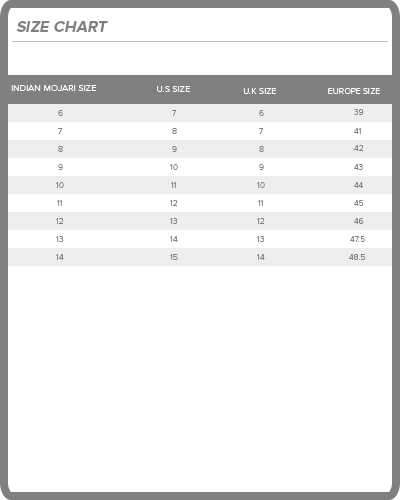 *Measurements for custom fit shall be provided.